Profound Medical (OTCQX:PRFMF; TSXV:PRN) announced that benign prostatic hyperplasia (BPH) treatments utilizing TULSA-PRO are now being successfully conducted in Germany. BPH is a non-cancerous enlargement of the prostate gland due to an overgrowth of prostate cells. It is a common condition as men age, often impeding the flow of urine and creating significant urinary symptoms. TULSA-PRO may present a promising treatment of BPH, as it enables incision-free and targeted ablation of excessive prostate tissue by providing real-time MRI visualization as well as millimeter precision. ALTA Klinik in Bielefeld, Germany has begun treating BPH patients with TULSA-PRO under the supervision of Dr. Agron Lumiani, a leading German radiologist and an early adopter of MRI diagnostics and biopsy for prostate disease. The Medical Imaging Center at Turku University Hospital in Finland, will soon be enrolling the first BPH patient in the center’s ongoing clinical research with TULSA-PRO. “As is often the case with innovative new medical technology platforms like Profound’s, the targeting of additional unmet needs of patients in various anatomies and disease states will be largely driven by its current clinician users,” said Arun Menawat, Profound’s CEO. 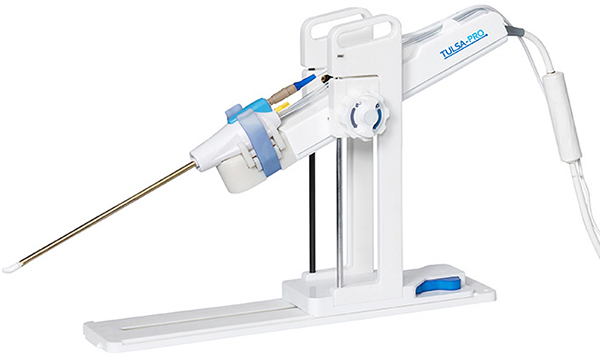 “We are grateful to our customers, like ALTA and Turku, for helping to lead the expanded clinical use of the TULSA-PRO system, offering patients a one-time, precise, minimally invasive alternative to existing prostate care therapies,” he added.